Vanquis dedicates a large portion of their business towards people with bad credit. Other credit card companies leave the bad credit demographic alone, they are too afraid to lend money to people who have made mistakes with credit in the past. Vanquis has taken advantage of this by garnering a large portion of the bad credit credit card market in the UK. Vanquis credit card for bad credit is a Visa card that can come in many different styles. You can choose between three different designs on Vanquis’s website, blueberry, cherry, or lime. The APR for Vanquis’ bad credit card is not very appealing, it is variable and it can reach up to 39.9%. 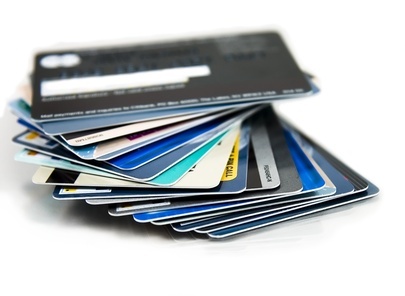 Credit cards generally do not charge more than 25-30% APR, even if their cardholders have bad credit. It is clear that Vanquis aims to make their money off of you in the form of interest payments, Vanquis does not charge an annual fee whatsoever, and almost all of the money they will make off of their cardholders will come to them via interest payments. You should not let the large APR rate scare you off, while it is better to have a credit card with a more reasonable rate, you will not have to pay anything in interest if you do not run a monthly balance! As someone with bad credit you should use an unsecured credit card as a tool to raise your credit score, not as a way to get into more debt and an even worse financial situation. There is nothing wrong with making purchases with your credit card, you just need to make sure that you have the money to pay off everything you bought at the end of the month, even if you run low monthly balances 39.9% will eat you alive month after month. Your credit limit with this Vanquis card will vary. It will start out around 1,000 euro’s, but after four months your limit can be raised each and every month, all the way up 3,000 euro’s. Not many credit card companies are willing to lend up to 3,000 euro’s to people with bad credit, Vanquis is a truly special company, they treat their customers right and reward them for making payments on time and doing things the right way. To be eligible for credit limit increases you have to stay within your current credit limit and make all of your payments on time or ahead of time. You are not guaranteed or entitled to any credit limit increase, just because you make all of your payments on time does not mean you will automatically get an increase, but it is very possible. Applying for a Vanquis bad credit credit card is easy. On their website they state that it will only take 5 minutes to apply, while I do not believe that number I do think you will be able to start and finish your application within 15 minutes. They make instant decisions at times, within a minute, but you will know of your applications status within a few days no matter what. You will never not have anyone to call or talk to about your application if you choose to work with Vanquis; they have an excellent support team. Vanquis is an excellent company who is offering people with poor credit an excellent opportunity to turn things around financially. Land a Vanquis card and keep your monthly balances low and you will thank me later!